The CHOICES brand includes a range of high quality pvcu WINDOWS with double glazing available in Bayswater, London. Whilst you are looking for windows, the choice is considerable. Do you want a standard casement window or perhaps one with a slim sash, a tilt and turn, vertical sliding sash window to replace those old corded sash box windows, a window with 'RunThru' horns to mimic a vertical sliding window or even a fully reversible window such as a top swing. The choice of window is the easy bit - what about the accessories that make all the difference. Internal Georgian grids or external Astragal bars. Handle colours from white, gold effect, chrome and many more including a black Monkey Tail. Now the colour of your window - white or woodgrain foils including white ash, cream, black, irish oak, anthracite grey, chartwell green, dark green, rosewood, golden oak, mahogany and many more, all designed to bring that extra effect to your property. The CHOICES range is assured of top quality by using top quality products from suppliers such as Rehau and Kömmerling upvc profiles. This is enhanced by supplying casement windows with 'A' Energy Rating as standard and the remainder with 'B' Rating or be compliant to the latest legislation. 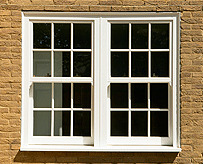 All windows are manufactured to BS7412 and many can be supplied to Secured By Design. Other than the Double Glazed Windows, you could be looking for PVCU Stable doors, PVCU or Aluminium French doors or Patio doors. In addition, there is the magnificent MultiFold or BiFold door in either PVCU or Aluminium, giving up to a five metre opening. All in all, CHOICES windows and doors are everything that you would expect of a high quality product designed to keep your home cosy and secure. Whatever Double Glazed Windows product you require in Bayswater, London, you can rely on your local Choices installer for the highest quality Doors, Windows, Conservatories or Garden Studios at genuine affordable prices. An expert in the field as a professional installer, who will ensure that you are delighted with the work carried out on your property.